T-Mobile is still on stage in New York at the time of writing this, unveiling all sorts of new company initiatives, but since the press release for it all has already gone live, let’s talk about it. We’ve got four big things to discuss: their new JUMP! phone upgrade policy, the launch of their 116th 4G LTE market, a new family option, and the release of the Sony Xperia Z on their network. In terms of JUMP!, we’re looking at a $10 per month charge per phone that allows you to upgrade your phone whenever you’d like (sort of) and protects against malfunction, damage, loss or theft. You can upgrade phones using T-Mobile’s Equipment Installment Program (EIP) twice every 12 months after you have been a part of JUMP for six months. All you have to do is trade in your previous phone in “good working condition” at any store. If you have remaining payments on that phone, they will be wiped out, since you’ll likely add on a new payment plan when you buy a new phone. New phones will be purchased at the same price as new customers. On the 4G LTE front, T-Mobile announced today that they are now live in 116 metropolitan areas, reaching 157 million people across the country. They were initially expecting to hit 100 million people by this point, but as the numbers suggest, they have crushed that goal. By the end of the year, they are expecting to be in more than 200 metropolitan areas, and covering more than 200 million people. T-Mobile also announced a new “breakthrough” family option for their customers. This new plan gives families with four lines of unlimited talk, text and web (up to 500MB of high-speed data) for $100 per month. There is no credit check or annual contract. And finally, T-Mobile announced that they are now carrying the Sony Xperia Z. The device will launch on July 17 for $99 down, but if you pre-order it on July 16, they’ll toss in a free Sony Bluetooth speaker as a gift. 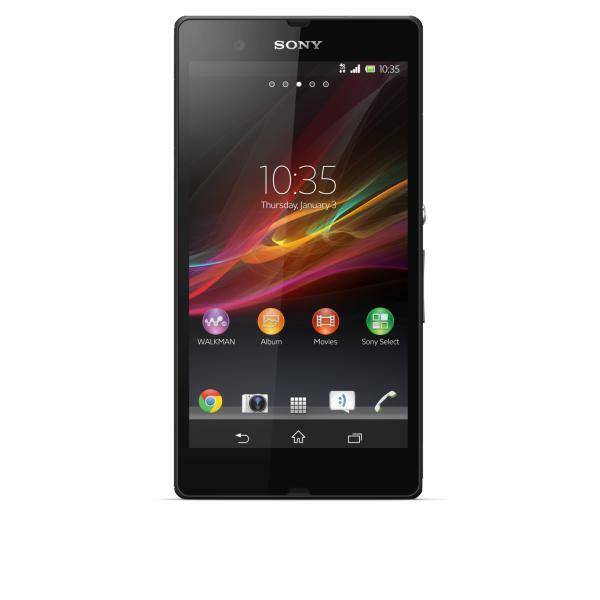 If you don’t feel like waiting until July 16, you can purchase the Xperia Z from 38 different Sony stores as early as today. More info about JUMP! can be found at T-Mobile’s site. NEW YORK – July 10, 2013 – T-Mobile US, Inc. (NYSE: TMUS) isn’t resting after turning the industry upside down with its “Un-carrier” approach to wireless earlier this year. It’s picking up the pace and continuing to revolutionize wireless for consumers. At an event in New York today, America’s Un-carrier announced a groundbreaking new program, JUMP! (TM), which enables people to upgrade their phones when they want, up to twice a year as soon as six months from enrollment. 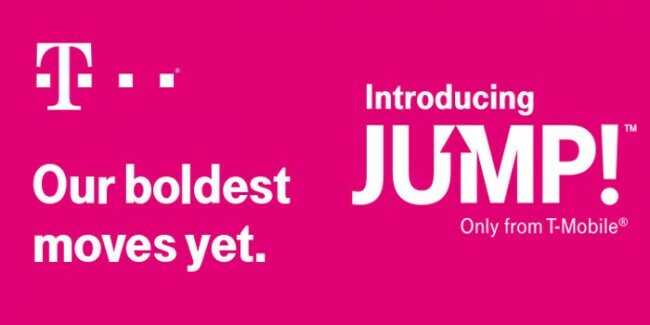 In addition to JUMP!, T-Mobile today announced a major expansion of its 4G LTE network to reach 157 million people in 116 metro areas across the United States. The company also unveiled a program enabling families to get four phone lines with unlimited talk, text and Web and up to 500MB of high-speed data for only $100 per month – with no credit check or annual service contract required. JUMP! from T-Mobile is designed to provide customers with total protection for one of their prized possessions: their smartphones. It offers the freedom to upgrade to a new device more affordably and protects against malfunction, damage, loss or theft – all for just $10 per month, per phone (plus taxes and fees). That’s just $2 more than most customers have been paying for handset protection alone. Today, T-Mobile announced that its 4G LTE network now reaches 157 million people across the United States – far exceeding the company’s stated midyear goal of reaching 100 million people – and is live in 116 metropolitan areas. Beginning July 14, families can get four Simple Choice Plan lines with unlimited talk, text and Web and up to 500MB of high-speed data for only $100 per month (plus taxes and fees) – no credit check and no annual service contract required. Xperia® Z from Sony. T-Mobile will be the exclusive U.S. wireless company to offer Sony’s flagship water-resistant Android(TM)-powered smartphone to customers this summer.2 The Xperia Z will be available for $99.99 down, with 24 equal monthly device payments of $20 for well-qualified buyers for 0 percent APR on approved credit3 through T-Mobile retail stores and select retailers, as well as online at http://www.T-Mobile.com starting July 17. On July 16, customers can also pre-order the device online from the same website and receive a free Sony Wireless Bluetooth Speaker gift with purchase (while supplies last). Customers may also purchase the device beginning today at any of the 38 U.S. Sony Store locations, including the flagship store in New York, or online at www.Sony.com/xperiaz/tmobile and will be eligible to receive the free Sony speaker as a gift with purchase (while supplies last). Nokia Lumia 925. Also starting July 17, T-Mobile’s first 4G LTE Windows Phone will be available for $49.99 down with 24 equal monthly device payments of $20 for well-qualified buyers for 0 percent APR on approved credit3 through T-Mobile retail stores and select retailers, as well as online at http://www.T-Mobile.com. Samsung Galaxy Tab(TM) 2 10.1. T-Mobile will provide current Samsung Galaxy Tab 2 10.1 users with an over-the-air software update that will enable customers to take advantage of T-Mobile’s 4G LTE network in the coming weeks. Well-qualified customers may also purchase the device with the 4G LTE capability for $99.99 down with 24 equal monthly device payments of $15 for 0 percent APR on approved credit3 through T-Mobile retail stores and select retailers, as well as online at http://www.T-Mobile.com today. For more information, fact sheets, artwork and other collateral materials, see http://multimediacapsule.thomsonone.com/t-mobileusa/t-mobile’s-un-carrier-2-0-event. As America’s Un-carrier, T-Mobile US, Inc. (NYSE: “TMUS”) is redefining the way consumers and businesses buy wireless services through leading product and service innovation. The company’s advanced nationwide 4G and 4G LTE network delivers outstanding wireless experiences for customers who are unwilling to compromise on quality and value. Based in Bellevue, Wash., T-Mobile US operates its flagship brands, T-Mobile and MetroPCS. It currently serves approximately 43 million wireless subscribers and provides products and services through 70,000 points of distribution. For more information, please visit http://www.t-mobile.com.